David Ayer delivers a colourful and super-stylised smash fest that never relents for a single second. It is unabashed thrilling carnage. The stakes rise up and up the longer the movie plays. Ayer does this in a knowing way. There is a comedy element in how things somehow get more ridiculous and over-the-top just when you thought it couldn’t get bigger. 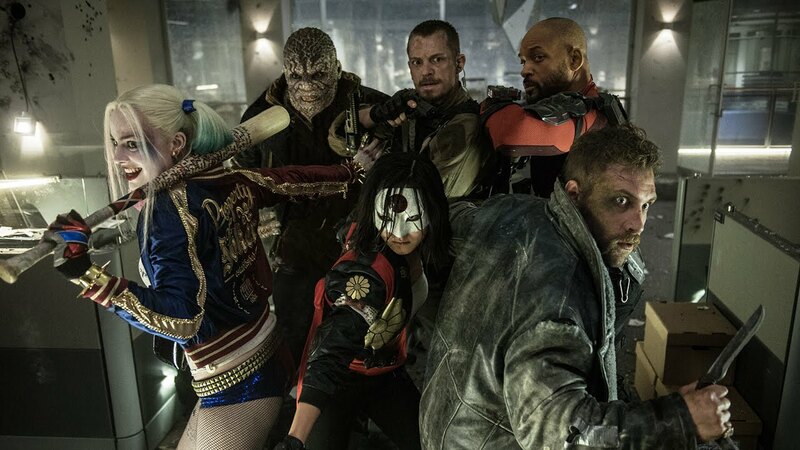 Suicide Squad is big dumb fun, intentionally so. The reason reviews have been so scathing is because viewers have been going in expecting a different movie. Although I understand that it could also be that it is simply not to some people’s taste and I respect that. The tone is very different to the movies we have previously seen from the partnership of DC and Warner Bros. You have to expect the tone of Tim Burton’s Batman from 1989 not Nolan’s The Dark Knight. Do not expect a really complex plot, this is just simple fun. With that being said, there is some great writing. Harley Quinn and Deadshot were especially well written. They were the stars of the movie due to how endearing they were. The characters would of course be nothing without the charisma and screen presence of Margot Robbie and Will Smith. Smith’s character was the Han Solo type, walking around like he doesn’t care and cracking wise. Harley Quinn on the other hand, was utterly endearing. Her funny little mannerisms completely capturing the audience in the screening I went to. Margot Robbie’s performance is as authentic and accurate as you can get. Her performance is a complete recreation of the character in the comics, animated movies and video games. Robbie has apparently confirmed a solo Harley Quinn movie, that is definitely a wise decision. DC clearly understand how great she is in this. She has gained some fans after Suicide Squad so a solo film would be a huge draw. Diablo was another standout character with a very effecting backstory. He was played with a lot of believeable intensity by Jay Hernandez. The moment he transformed during the final battle and had a fist fight with the demon was one of the highlights of the movie. However, I would have liked to know more about his abilities and exactly what he is. Is he a demon? El Diablo himself? It wasn’t really made clear. With that being said, the character development was very unbalanced. 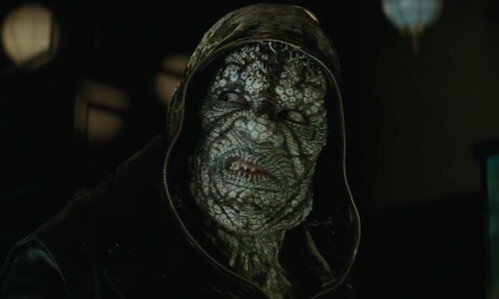 There was virtually no backstory for Katanna or Killer Croc. They didn’t even explain how Croc came to look like that. To conclude, this was a really fun watch. In terms of plot it is nothing cerebral, the intelligence of the movie is actually in it’s action. David Ayer speaks the language of cinema fluently and his artistic fingerprint is all over this. An example of this is the conclusion of the final battle. When Enchantress is defeated and the vortex in the sky disappears, the debris falls onto the streets below. The camera takes us down to street level as parts of buildings crash to the pavement with a deafening sound. That ended an epic action set piece with two exclamation points. I can’t wait to get this visual treat on blu ray. If you enjoyed this review please share it on Facebook. Stick around for more coverage of entertainment and combat sports.